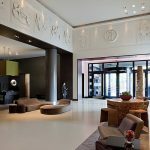 Melia Hotels and Quimera Energy to reduce energy expenditure in several European hotels by 25% thanks to an innovative energy management ESCO partnership. 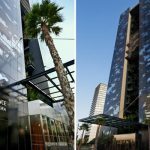 After a pioneering project at the Melia Sky Barcelona, Quimera and Melia Hotels International are extending Quimera’s no investment “Monitor&Save” energy optimization methodology to other establishments around Europe. Just 2 years after the introduction of its Monitor&Save (M&S) first project for Melia Hotels International (MHI), Quimera has witnessed encouraging results, fulfilling and even exceeding the highest expectations of both parties and reaching savings of around 25% in average in different hotels around Europe. The successful deployment, based on a cooperative model, has seen tangible results in reducing energy expenditure and the carbon footprint of MHI, laying the foundations for further expansion of this collaboration scheme. Following the unprecedented success, Melia Hotels International and Quimera have recently signed a frame contract to increase the scale of their partnership and implement further M&S projects. 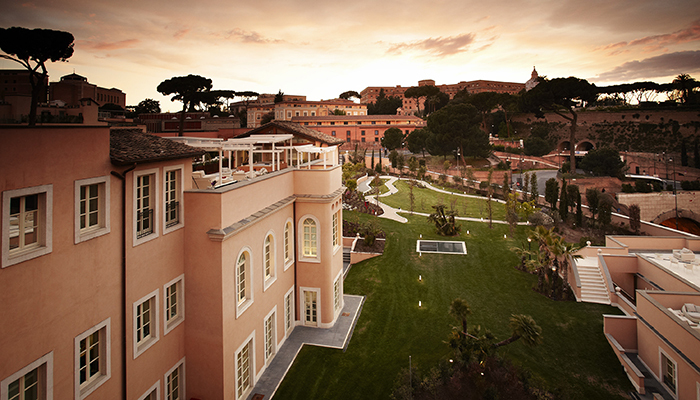 As of today, MHI and Quimera have been working together in hotels located in London, Milan, Rome, Barcelona and Valencia. Monitor&Save is a service primarily offered to the hospitality sector with the goal of optimizing the efficient management and use of energy. The system includes the use of DEXMA’s smart metering and energy management platform DEXCell Energy Manager to provide continuous monitoring of all energy demands within the building. Quimera’s model is based on an Energy Services COmpany (ESCO) revenue-sharing-only (success-fee type) scheme, where revenue is generated from the clients’ reduced energy costs, thus uniting Quimera’s interests with those of MHI. The main difference with traditional ESCO projects is that M&S project actions require little or no CAPEX, thus the payback period is much faster when compared with that of a standard ESCO project. This also ensures that Quimera’s commitment to the project goes beyond the advisory stage, with the successful deployment and follow-up of identified energy optimization initiatives being the Quimera utmost priority. About Melia International Hotels. Founded in 1956 in Palma de Mallorca (Spain), Melia Hotels International is one of the largest hotel companies worldwide as well as the absolute leader within the Spanish market, with more than 370 hotels (current portfolio and pipeline) throughout more than 40 countries and 4 continents under the brands: Gran Melia, Melia Hotels & Resorts, Paradisus Resorts, ME by Melia, Innside by Melia, Tryp by Wyndham and Sol Hoteles. The strategic focus on international growth has allowed Melia Hotels International to be the first Spanish hotel company with presence in key markets such as China, the Arabian Gulf or the US, as well as maintaining its leadership in traditional markets such as Europe, Latin America or the Caribbean. Its high degree of globalization, a diversified business model, the consistent growth plan supported by strategic alliances with major investors and its commitment to responsible tourism are the major strengths of Melia Hotels International, being the Spanish Hotel leader in Corporate Reputation (Merco Ranking) and one of the most attractive to work worldwide. About Quimera Energy. Quimera Energy, a wholly owned subsidiary of Quimera Group, develops energy efficiency projects focusing on reducing costs and promoting distributed energy systems using sustainable technologies and has recently branched into alternative sectors specially focusing in the hospitality sector. To this date, some of the largest hotel chains worldwide are already trusting Quimera Energy to develop its innovative projects to improve their energy management and efficiency and match sustainability related goals. Quimera Energy is focused in developing its activities in Europe and Middle East with operations in Asia and America expected to start in 2015. Quimera group, founded in 2009, provides its clients with sustainable solutions in the field of energy and mobility. Quimera initially began working specifically in sustainable mobility projects, positioning itself as one of the world’s leading specialists in the field and established a fruitful partnership with Altran, Europe’s largest engineering company.